Want a really easy drag and drop room planner? Got one for you. I found this one on La Difference’s website and it’s created by icovia.com (but icovia provide these planners for a number of clients so you may have come across it elsewhere). Very easy to navigate, with a number of pre-built plans to pick from. 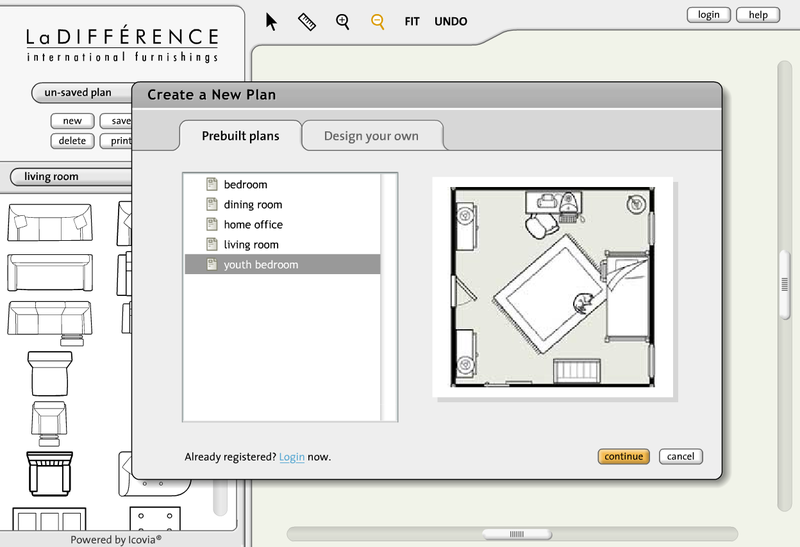 You can also choose a blank plan and specify your own dimensions. Once you’ve chosen the room you want to remodel, simply drag and drop the relevant items from the left side panel, then resize, zoom and measure away… hours of fun.